Jeremy Abuan teaches Computer Science and is a graduate of Saint Peter’s University. Once a student of High Tech High School (class of 2011), Mr. Abuan has returned as a Computer Programming teacher for the 2018 – 2019 school year. His primary goal as an educator is to facilitate future leaders in CS fields by providing them with the necessary computing tools and multidisciplinary opportunities needed to excel in their respective fields. Mr. Abuan is currently associated with both the Judo Club and the Robotics Club. In his spare time, Mr. Abuan competes in judo on the national level and can often be found training with the High Tech judo team, Tech Judo. 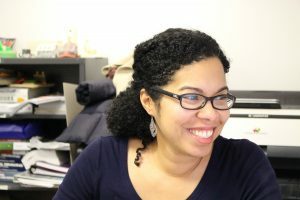 Vanessa Batista teaches Architecture + Design I, Architecture + Design II, Architectural Studio I, and Architectural Studio II. She earned a bachelor of Architecture before moving on to her Master of Science in Civil Engineering degree from New Jersey Institute of Technology. An alumna of High Tech High School, Ms. Batista re-entered the classroom as a teacher in September, 2018. Her goals in the classroom are to help students explore their skills, passions, and drive. After school, she is involved in the ACE mentorship program, The Butterfly Effect Club and Robotics Club. She also teaches Sustainable Design (LEAP). Prior to joining the staff at HTHS, Ms. Batista worked at CPA Architecture & Metropolitan Transit Authority. Outside of the classroom, Ms. Batista enjoys traveling and hiking. Zachary Bolich is a master cabinet maker with over twenty years experience in the millworking field. He began teaching the art of woodworking part time in the Hudson County Schools of Technology Post-Secondary program in 2010. In 2013, Mr. Bolich joined D|FAB where he currently teaches Wood Technology as both a vocational major and as a LEAP course. In the Wood Tech class, Mr. Bolich’s goals are to expose students to the nuance of woodworking using both hand tools and the latest industry-standard manufacturing technology. He wants his students to have the freedom to explore the different facets of creating with wood in hopes of finding a passion they want to pursue as a career whether it be as a designer, machinist, engineer, or a fabricator. Outside of the classroom, Mr. B can be found working on cars and spending as much time as possible with Family and friends, preferable in the outdoors. In the summer, you will find Mr. B either on the golf course or out fishing. Sergio Gamarra teaches Engineering Technology and is a graduate of Minnesota State University at Mankato with a BS in Automotive Engineering Technology and Manufacturing Engineering Technology. An alumni of High Tech High School himself, Mr. Gamarra has been teaching at HTHS since 2011. Mr. Gamarra’s goals in the classroom are to help students understand how the world around them works, specifically focused on the mechanical components and construction of. A staunch proponent of hands-on instruction, Mr. Gamarra’s Engineering Technology and Metal Fabrication courses are focused on exposing students to wide variety of industry-grade materials, tools, and mechanical equipment. Mr. Gamarra prides himself on “Teaching skills once considered lost.” Students in Mr. Gamarra’s programs have participated in SkillsUSA fabrication competitions and the Panasonic CDC competitions. Mr. Gamarra is involved in the support of several automotive race teams where he provides engineering, fabrication, technical service and assistance, which helps keep his skills current and therefore relevant for the classroom. Outside the classroom, Mr. Gamarra enjoys helping others, building and enjoying classic cars and vintage Harley Davidsons, any type of metal fabrication, home improvement, technical reading, and classical music from Beethoven, Mozart, Led Zeppelin, Pink Floyd, Johnny Cash, Willie Nelson, David Allan Coe. Harry Peles teaches Computer Programming, Engineering and Robotics and is a graduate of Camden County College where he earned an AAS in Engineering Science before going on to graduate from Rowan University with a BS in Physics and a minor in Applied Mathematics. He is also a graduate of the US Army Corp of Engineer School. After becoming a teacher, he took some graduate coursework in order to acquire teaching certifications in Mathematics and Technology Education, which expanded the subjects that he was assigned to teach. Since 1996, Mr. Peles has taught a variety of subjects including Physics, Computer Programming, Engineering and Robotics in schools throughout New Jersey. He has been teaching Computer Programming, Engineering and Robotics at High Tech High School since 2014. Mr. Peles’ goals in the classroom are to challenge his students in the subject, to provide supporting hands-on examples, to infuse related math and engineering concepts, while having some fun along the way. In 2016, he became the lead coordinator for the Robotics Club, which is composed of three FIRST Tech Challenge teams (7994, 9554, and 10633). Before becoming a teacher, Mr. Peles worked as a design draftsman for a civil engineering firm and started his service in the Army Reserves (1984). With a 5-year break in service, he now has 28 total years of military service in the reserves. Over his military career, he has served as an enlisted mechanic, an enlisted combat engineer and as a combat engineer officer. Outside the classroom, he enjoys fixing broken things, building crazy mechanical things with LEGOs, building models, and solving brain-teasers. He also enjoys traveling and hiking, or any outdoor activity, with his wife, stepsons, and daughter. Alba Nery Simon migrated to the United States in the early 1980s, where her family lived in New York City and later settled in Jersey City, New Jersey. Growing up in an urban environment inspired her to pursue Architecture as a career. She attended New Jersey Institute of Technology, graduating with a Bachelor of Architecture in 2001. She also attended Pratt University and obtain a 3D visualization and Animation certificate. After working for several years in the Architecture field as a Project Manager, she was inspired to explore the field of education. Mrs. Simon has since dedicated herself to sharing her passion for design and building and serving as a mentor and role model for young people. Currently, she teaches the Industrial Design and Animation class at High Tech High School, and is a facilitator for the Robotics program. Her goals in the classroom are to ignite a lifelong passion for learning and creativity, and to cultivate a strong work ethic that will transfer to various careers. Through these endeavors; she continues to inspire students to pursue fields in STEM and Architecture and Design. On her time off she enjoys playing sports such as basketball and volleyball and spends time with her two young children, husband, and family. Gregory Simon is the supervisor of the academy for Digital Design | Fabrication Academy. 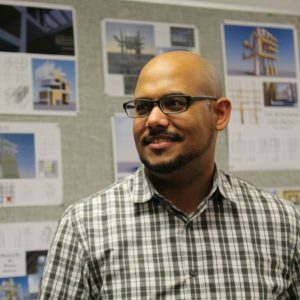 A graduate of New Jersey Institute of Technology's College of Architecture and Design, he also holds a Masters degree in administration and supervision from Saint Peter's College and has been in the district since 2005. In addition to his role as supervisor, Mr. Simon also teaches an Architectural Design course. Maintaining the balance between administrator and classroom educator is crucial to Mr. Simon’s role in the D|Fab community. As an educator, he can demonstrate his passion for architecture and life-long learning while remaining current on today’s industry-standard technologies. As an administrator, Mr. Simon strives to provide hands-on opportunities for all of the D|Fab students to experience their career-based subjects early on, thus allowing them to make an informed decision for their futures. Prior to entering the teaching profession, Mr. Simon worked for Watt Architects, WORK Architecture and Design, and Perkins Eastman Architects. Outside of the classroom, Mr. Simon is an avid outdoorsman, spending much of his free-time fishing, boating and hiking.